Hello there, my name is Alan Marlow and I own and operate an independent Driving School here in Kingsthorpe, Northampton and cover all post code areas NN1 to NN5 (and maybe NN6). I am a very friendly and patient Driving Instructor with over 16 years experience. I have excellent pass rates...in fact VERY excellent pass rates...especially for first time attempts! 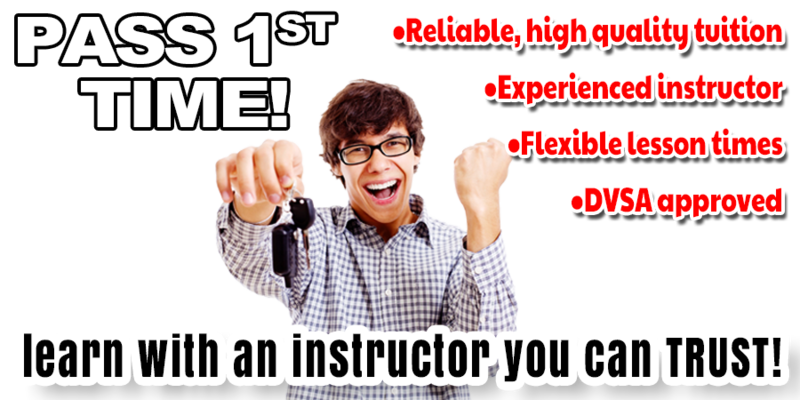 FULLY QUALIFIED, APPROVED AND RECOMMENDED DRIVING INSTRUCTOR WITH OVER 16 YEARS EXPERIENCE! NO PRICE INCREASES - the price you pay at the start is the same when you pass! Most pupils choose weekly lessons. However, as an independent instructor, I am totally flexible and can offer courses tailored to your individual requirements including intensive courses if required. Choose the length of your lesson: one hour, one and a half hours, two hours..it´s your choice but I guarantee that you will always get your full lesson and it will not be cut short at the beginning or end and car sharing with other pupils will never happen. Rest assured you will always get training on a personal one to one basis and (unlike some driving schools) the same instructor every week. You will learn in a calm and relaxed environment - and have fun too! Do you want picking up from work or college? or drop off at home? no problem!